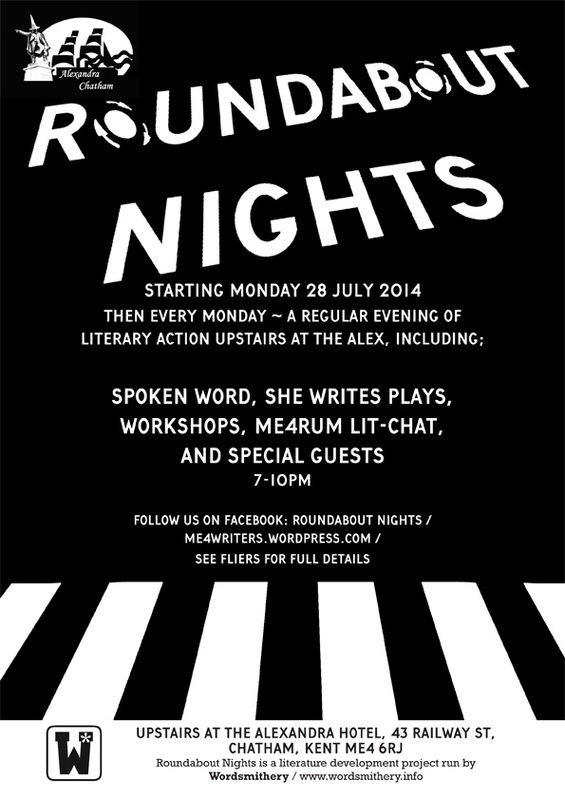 Our new 4-weekly incarnation of She Writes, our regular night of new short plays by women starts on 4 August as part of Roundabout Nights (a regular live literature night) at the Alexandra Hotel in Chatham. The format is a script-in-hand reading, showcasing about 8-10 plays on a loose theme at each event. The night is programmed and produced by Sam Hall. We are doing a couple of things differently as an experiment with this version of She Writes: Once every quarter we will also be opening submissions to male writers, and we will also accept extracts from full-length plays. UK-based writers wishing to submit to the night please see our submission guidelines. Local actors we’d love to hear from you if you’d like to be part of a regular team producing the event. Please email us. To coincide with the Rochester Literature Festival, we will present a script-in-hand reading of plays inspired by the ‘Mad, Bad and Dangerous to know’, Lord Byron. Submission deadline: 15 September. 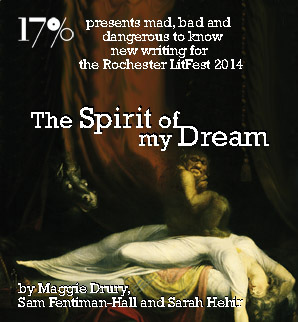 In a change of venue – She Writes will be presenting a show as part of the Rochester LitFest. Three of our regular writers, Maggie Drury, Sam Hall and Sarah Hehir, have written new plays inspired by a poem by Byron, The Dream. The plays will be presented for one night only at the Chatham Boys’ Grammar School, Holcombe, Maidstone Road, Chatham, ME4 6JB. The show will be followed by a Q+A session with writers and actors. Free onsite parking in the CBGS carpark, Letchworth Avenue. Booking is now open and tickets can be booked via the website: Rochester Literature Festival. The venue is fully wheelchair accessible. Real, imaginary, emotional or symbolic, we want to hear about your journeys. Submission deadline: 14 October. Please email your plays in pdf or doc, or docx format. If coming from London: You can currently get super off-peak trains from London to Chatham from London Bridge/Victoria for £13.50 return. The Alexandra Hotel is 2 minutes from Chatham train station. High Speed trains from St Pancras also stop at Chatham. If coming from Kent and Medway: Nearest car parks are at Upper Mount, ME4 6BP and Old Road, ME4 6BP. Alternative car park Sir John Hawkins, ME4 4JL is near the bus station. Chatham bus station is about a 5-minute walk from the Alexandra, check Arriva’s website for bus times. Some buses also stop at the train station. *She Writes is a non-profit, unfunded initiative and so unfortunately there is no payment or reimbursement of expenses to writers, directors, performers or anyone else involved in the production of each piece. *Please note that, regrettably, the upstairs room is not currently accessible for wheelchair users.